Der Artikel Mieczyslaw Weinberg (1919-1996): Sonaten für Cello & Klavier Nr.1 & 2 wurde in den Warenkorb gelegt. 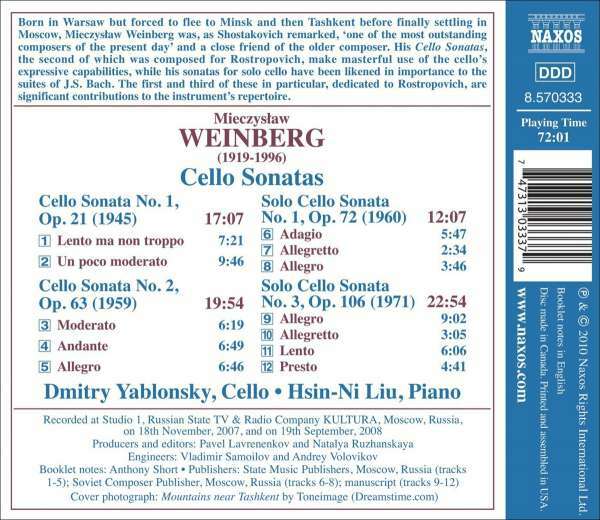 Born in Warsaw but forced to flee to Minsk and then Tashkent before finally settling in Moscow, Mieczyslaw Weinberg was, as Shostakovich remarked, 'one of the most outstanding composers of the present day' and a close friend of the older composer. 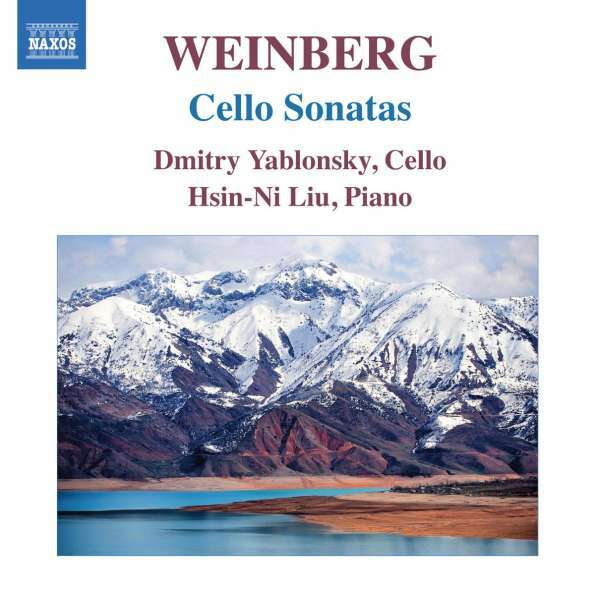 His Cello Sonatas, the second of which was composed for Rostropovich, make masterful use of the cello's expressive capabilities, while his sonatas for solo cello have been likened in importance to the suites of J. S. Bach. The first and third of these in particular, dedicated to Rostropovich, are significant contributions to the instrument's repertoire.